This week I’m offering up a tasty treat to celebrate the abundance of citrus-laden lemon trees in the Valley. It’s a Lemon Cream Loaf Cake and I found it in a cookbook called Old Favorite Recipes from St. John’s Lutheran Church in Des Moines, Iowa. 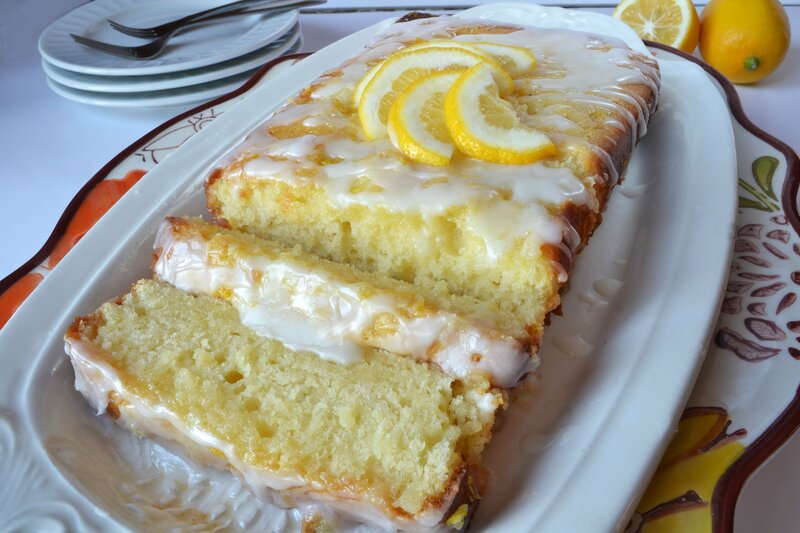 It’s super moist and if you’re a lemon lover, this sweet and tangy loaf cake will definitely satisfy. I don’t know what’s more enticing or intoxicating – the fragrance of Arizona’s spring citrus blossoms or a lemon pie loaf coming out of the oven. The both have a peel! Preheat oven to 350ºF. With an electric mixer, beat together cream cheese and butter until soft and creamy. Gradually add sugar, beating well to incorporate. Add eggs, 1 tsp of lemon juice, and lemon zest, mixing well. Add flour, baking powder, and salt, mixing too combine. Slowly pour in milk and mix well. Pour batter into two greased loaf pans (approximately 8" x 4" x 3"). Bake for about 45 minutes, or until a toothpick comes up clean. In a bowl, combine powdered sugar and remaining 4 tsp of lemon juice, stirring with a fork or whisking until smooth. If too thick, add a few drops of water. Brush or pour slowly over hot loaves. Garnish with thin lemon slices. Cool in pans on wire racks for 10 minutes. Then, cover with plastic wrap to keep moist. Serve at room temperature or chilled.